ISLAMABAD: February 8, 2018- President Azad Jammu & Kashmir, Sardar Masood Khan has said that keeping the Kashmir dispute alive on international level is our achievement. He made these remarks during an interactive session on “Changing global scenario and Kashmir dispute”, organized by Air University, Islamabad. On the occasion, Vice Chancellor Air University AVM (R) Faaiz Amir and other senior officials were also present. Masood Khan, condemning the human rights violations in Indian-occupied Kashmir, said that there is no identity of Kashmir without Pakistan. Mentioning the historical facts, he emphasized that the Kashmir struggle is based on principles, and the United Nations also recognized the just right to self-determination of the Jammu & Kashmir people. He said that successful marking of recently-held Kashmir Solidarity Day delivered three kinds of messages. First, it is in the interest of India to end the illegal occupation. Second, people of Kashmir were informed that Pakistan can never compromise on Kashmir and always stands with the innocent Kashmiri people. Third, the international community must play due role for solving the Kashmir dispute peacefully according to the UN resolutions. Answering a question, Sardar Masood Khan said that India is an occupying power in the eyes of Kashmiri people. However, the role of Pakistan is highly regarded for supporting the Kashmir struggle. Despite passing more than 70 years, keeping the Kashmir issue alive on international agenda is our moral victory, he stated. The President further said that the international community must understand that people of Kashmir are demanding their birthright to self determination from India. “India is propagating a false narrative by claiming the dispute as a bilateral issue between Pakistan and India,” he said. The President was of the view that people living in both parts of Kashmir wants to live happily as part of Pakistan. 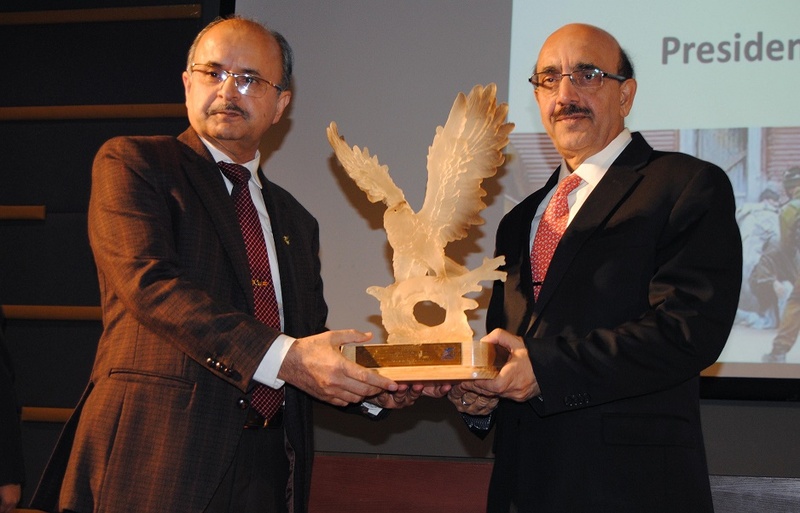 President AJK Sardar Masood Khan also asked the Air University students to use their expertise on new digital and social media platforms for highlighting the Kashmir struggle. On the occasion, the Vice Chancellor Air University AVM (R) Faaiz Amir, also expressed solidarity with the people of Kashmir. He said that the Kashmir Struggle is oldest ever freedom movement in the world history. He said that Kashmiri people are offering numerous sacrifices since the Dogra Raj. The Vice Chancellor further said that the Kashmir struggle will continue till Kashmiri people are free from Indian Occupation. A number of students from various faculties actively participated in the Q & A Session to express their views on the Kashmir issue.